Have you Implemented Your Communication Strategy Yet? You can help your clients improve their interactions by creating a planned series of behavioral adjustments. There's been a lot written on improving our communication with others because it's critical to our success. We also know from experience, the more complex a tool or technique is, the less likely our clients are going to use it. Therefore, we've designed a realistic and simple DISC-based communication strategy to start practicing behavioral adjustments. However, it's always best to start with ourselves. Are you practicing your communication strategy? We practice what we teach right? One of the best ways to teach a new strategy is to try it out yourself. You already know your DISC styles so the next step is to apply it to others. You're confident self-awareness enables you to move on to the next step which is identifying the style of others. Pick a person who you'd like to improve your interactions with and observe their behavioral patterns. 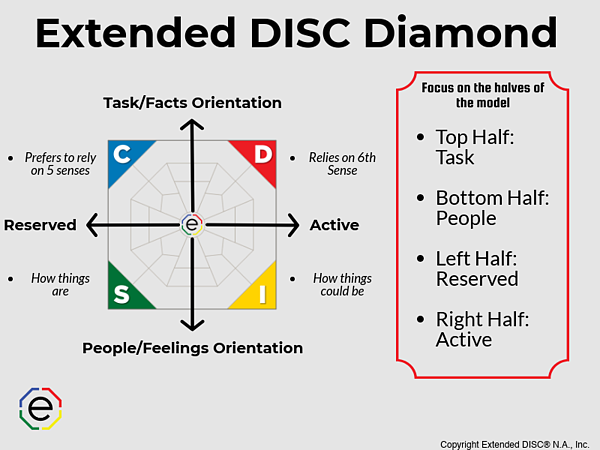 Once you have observed behavioral patterns, decide which halves of the Extended DISC® Diamond to plot them. Are they more Task/Facts-oriented or People/Feelings-oriented? Do they prefer to focus more on a task over the person? Are they more reserved or more active? Reserved styles prefer to rely on their five senses and how things are; whereas, the Active styles prefer to rely on their 6th sense and how things could be. Now you're able to identify their main DISC style. D-styles prefer to talk about oneself, results, and change. I-styles will chat about people, good things, and oneself. S-styles prefer to talk about agreements, principles, and one's team. C-styles talk about facts, details, and rules. Now you're ready to move on to your communication strategy. Remember, you are not locking them into a DISC style; you will continue to refine as you gather more information about them. What behaviors can you make adjustments to, knowing their style and your own, that would improve your interactions? Think about past and potential interactions with them. It doesn't even have to be face-to-face; consider using adjustments for future phone calls and emails. A simple and effective way to design your plan is to group into 'dos,' 'don'ts,' and 'continue.' 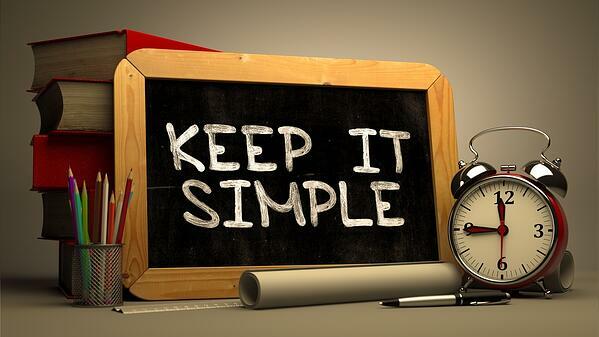 Identify three things per group that you should be doing, should not be doing, and should continue doing. Try to be as specific as possible in your adjustments. It may be easier to focus on one typical situation. For example, if your person is primarily a D-style and you're a C-style, then you may decide to practice sending emails that succinctly summarize the information into an executive summary. If you're an I-style working with your S-style colleague, practice letting them speak without interrupting, or make sure to follow up on every email they send in a timely manner. 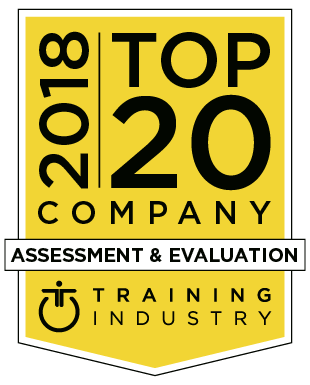 Remember to refer back to your Extended DISC® Assessment. The tips and suggestions are designed to help you make better adjustments with each specific DISC style. Adjustments take energy, but with practice, they can get easier. Making adjustments doesn't change who you are; adjustments are often brief and temporary changes in behavior to help you improve interactions, communications, and relationships. Embrace who you are and embrace who others are as well. Practicing self-awareness will enable you to identify when and how to adjust appropriately, to avoid getting into trouble by not adjusting. So now you've implemented a communication strategy to improve an interaction, you're ready to help your clients improve theirs. 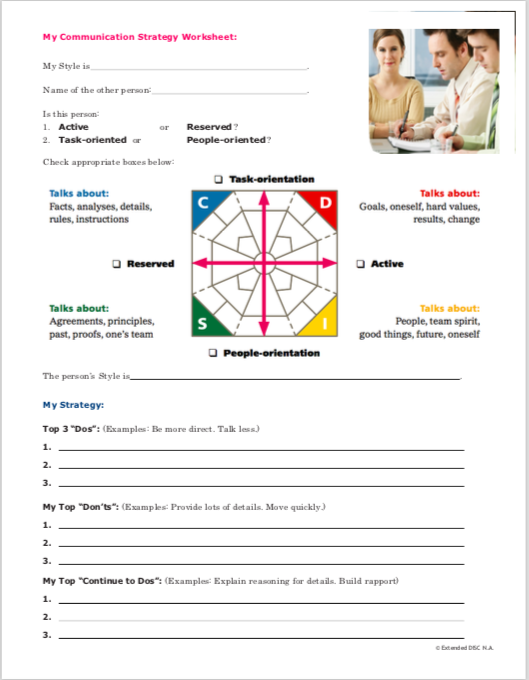 to receive a copy of My Communication Strategy Worksheet!